IF YOU ARE HANKERING for an early season apple, your ship has come in. Two of the earliest varieties, Ginger Gold and Jersey Mac, can now be found at many orchards and farmstands. They are harbingers of the fall crop to come — and it looks like a good apple year for most of New England’s orchards — best eaten fresh, offering tantalizing flavors of things to come. Ginger Gold apples are sweet, tangy, and juicy. Their shape ranges from round to conical, and they have a smooth, green-yellow skin, often with a light pink blush. Ginger Golds are a good apple for both cooking and fresh eating, and are especially enjoyed in salads, as their crisp, white flesh browns slowly when sliced. Ginger Golds are a relatively new apple, discovered in a Virginia orchard in the foothills of the Blue Ridge Mountains in the late 1960s. 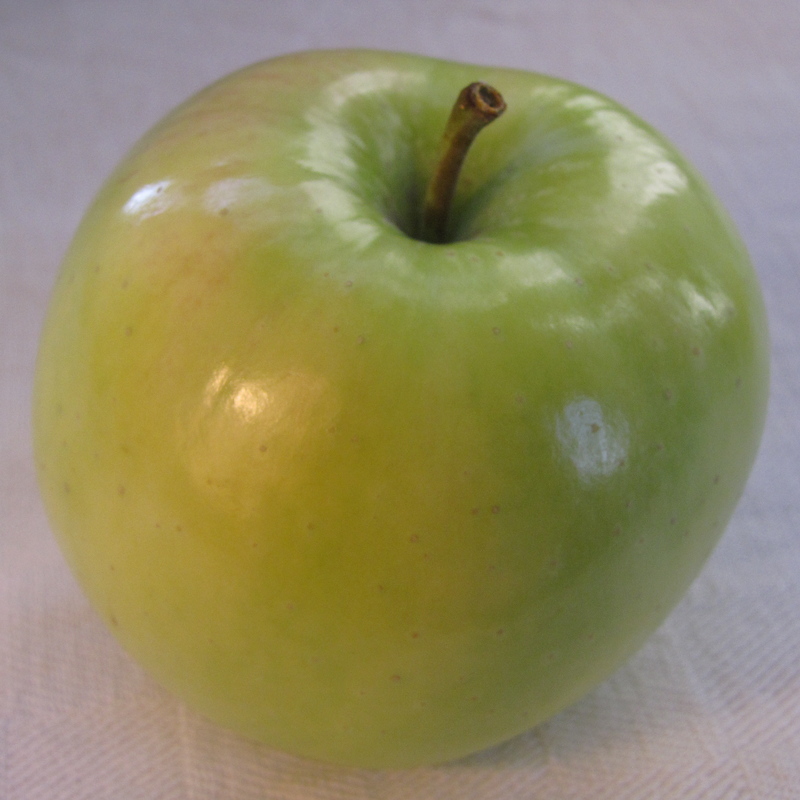 Their parentage is not certain, but Ginger Golds likely are a cross between Golden Delicious and Newtown (Albemarle) Pippin. Jersey Macs were developed at the New Jersey Agricultural Experiment Station of Rutgers University in 1956 (hence the name), and were introduced commercially in 1971. BAKED APPLES are an easy and flavorful dessert to make, and their flavor can be altered and enhanced by experimenting with a number of optional ingredients. Baked apples can be served alone warm or topped with a dollop of whipped cream or ice cream. Some say baked apples are even better eaten cold at breakfast the next day. Either way, they keep in the refrigerator for several days, and can be reheated if that’s your preference. Here’s a good recipe for baking apples using either Ginger Gold, Jersey Mac, or the later varieties when they arrive. Preheat oven to 375°. Wash and core apples, and place snugly in a glass baking dish. Toss cranberries, raisins, sugar, and zest together in a bowl and fill apple cores when fully mixed. Pour cider in bottom of baking dish, and cook for 25-30 minutes, until apples are soft. If there is any liquid left, drizzle over apples before serving. CONGRATULATIONS to Mo Tougas, named the 2011 Apple Grower of the Year by American/Western Fruit Grower Magazine, one of the nation’s leading agricultural publications. Mo, who operates Tougas Family Farm in Northborough, Massachusetts, with his wife, Phyllis, and son, Andre, has long been admired in the region for his business savvy and entrepreneurial style, but first and foremost, he grows a great apple. He never stops trying to innovate and improve his horticultural skills, and this national recognition is well deserved. Mo, who serves as vice chair of the board of directors of the New England Apple Association, will be honored at the USApple Outlook Conference in Chicago this week. 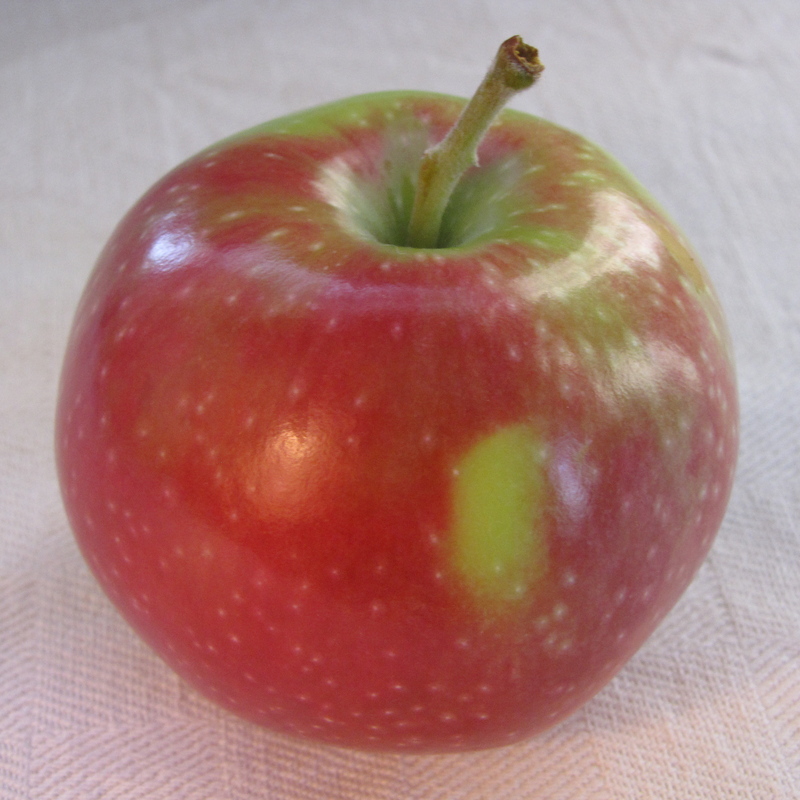 To learn more about New England apples (and to see video programs featuring Mo on methods for grafting and pruning apple trees), visit New England Apples.